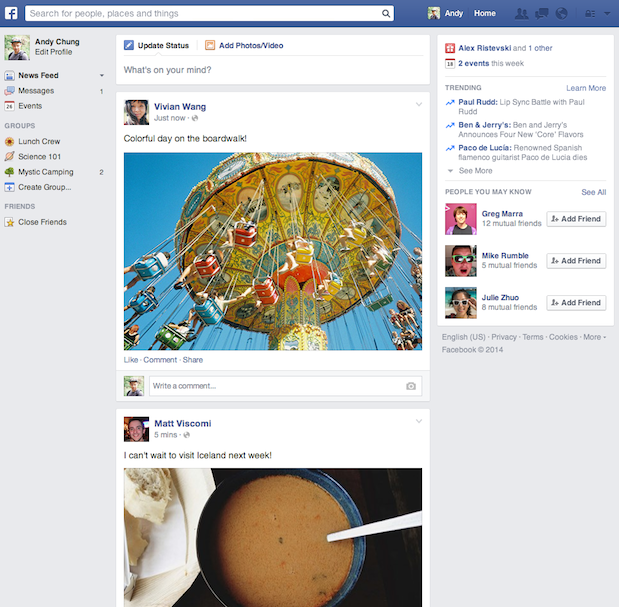 Facebook is tweaking the design of its News Feed once more. While the social network has tried numerous layouts over the years, it seems to have finally rested on a solution that will appeal to all of its users. You may remember that exactly one year ago, Facebook unveiled a redesigned News Feed that founder Mark Zuckerberg described as a “personalized newspaper.” Photos and videos were larger, stories were separated into cards and a dark, slimmer sidebar stretched down the left-hand side of the page. 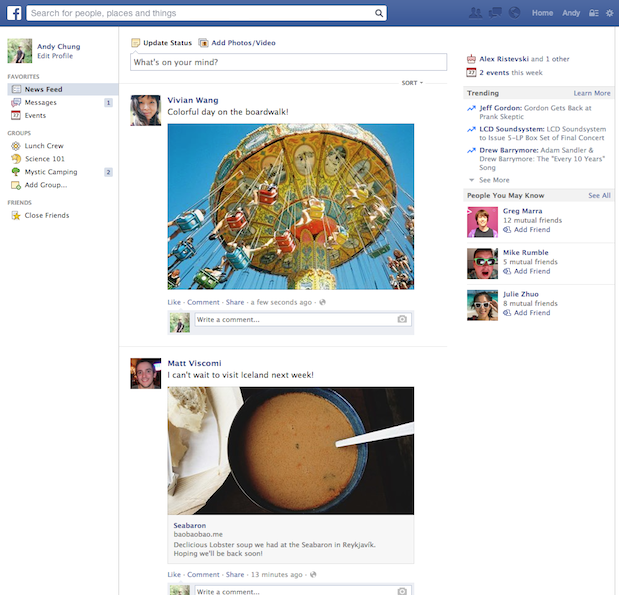 Twelve months later, some Facebook users are still waiting to get that redesign. Facebook now calls that version an experiment and explains that after extensive testing, it found that there were a few problems. In short, users liked the visual approach but found it harder to use the site on the whole. Rather than ship a flawed redesign, the company made further tweaks and finalized the design which is being unveiled today. At face value, not too much has changed from last year’s proposed redesign. The sidebar on the left is now lighter and the drop-down menu for different feeds has disappeared from the top left-hand corner. Compared to the old News Feed that most users have had up until now though, the changes are pretty drastic to say the least. Facebook is emphasizing that this is a visual update and doesn’t change the way it ranks stories or surfaces content for any of its users. The changes will roll out in the coming weeks, so if you’re not seeing it just yet, fear not – you will soon.